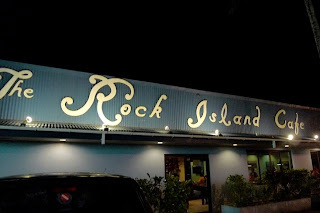 Rock Island Cafe welcomes visitors and guests to Palau and invites you while in Palau to visit the Rock Island Cafe. 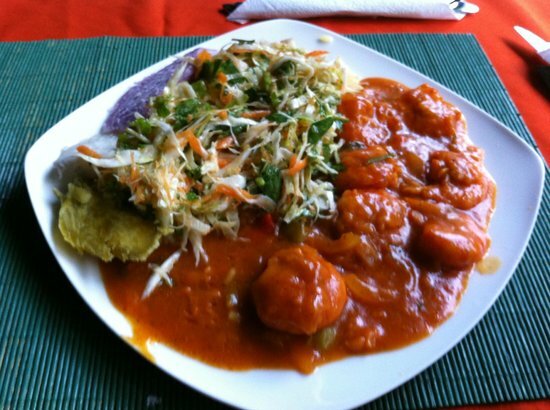 Enjoy the hospitality and excellent food set in a casual dining atmosphere. If you just want to relax and unwind, stop by our pub for a delicious cocktail, cold beer, iced tea or a latte. It is open all day for your dining pleasure. Here you will enjoy Palau's best pizza, delicious burgers and sandwiches of all type and other favorites. Rock Island Cafe serves a wide variety of choices of international cuisine for breakfast, lunch, dinner and snacks from 6:30am till 10:00pm Sunday through Thursday, 6:30am till 6:00pm Friday and 6:00pm till 10:00pm on Saturday. "This is our 2nd trip and we enjoyed it again! We stayed at La Gaviota with our family (4 adults) and it worked out great. There was a divider to separate the living room from the kitchen, which was nice. Waldo is a great host. It's nice to know he is around to help out, if anything happens, or you have questions about the island."